I love a mystery, especially when it concerns airships. 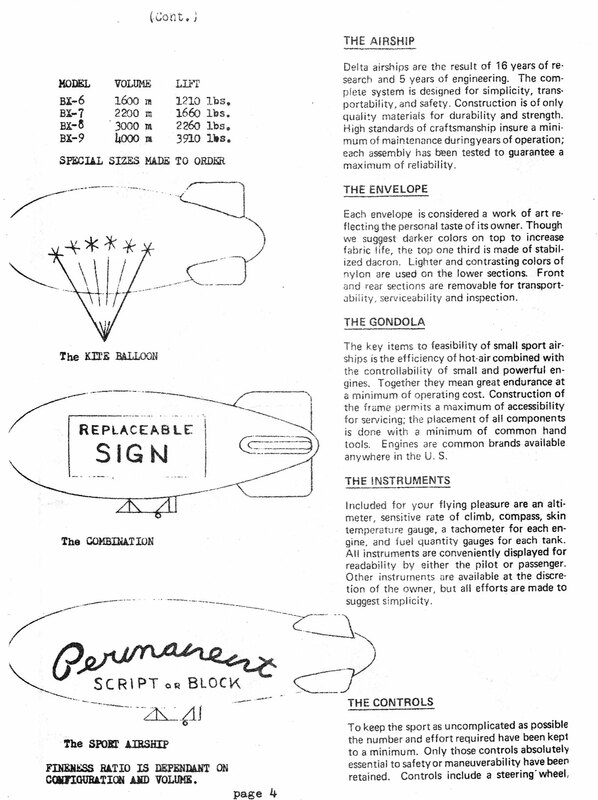 In an old copy of the 'Hot-Air Wind Drifters Balloon Club Newsletter' I came across four pages about Delta Airships and their design for a hot air airship. 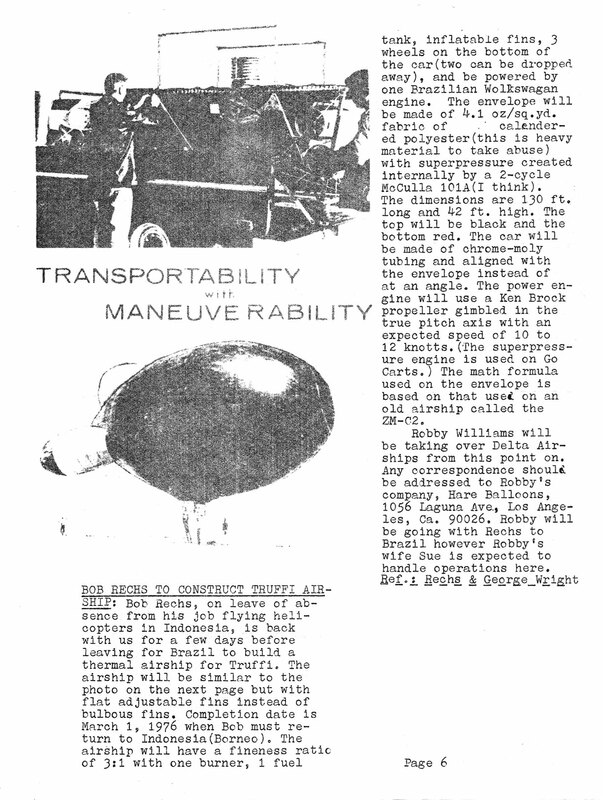 While the quality of reproduction in this 1975 publication left a lot to be desired it does offer up some interesting information, not least the grainy photograph which shows what can only be an airship gondola with burner sitting on the back of a pick-up truck. 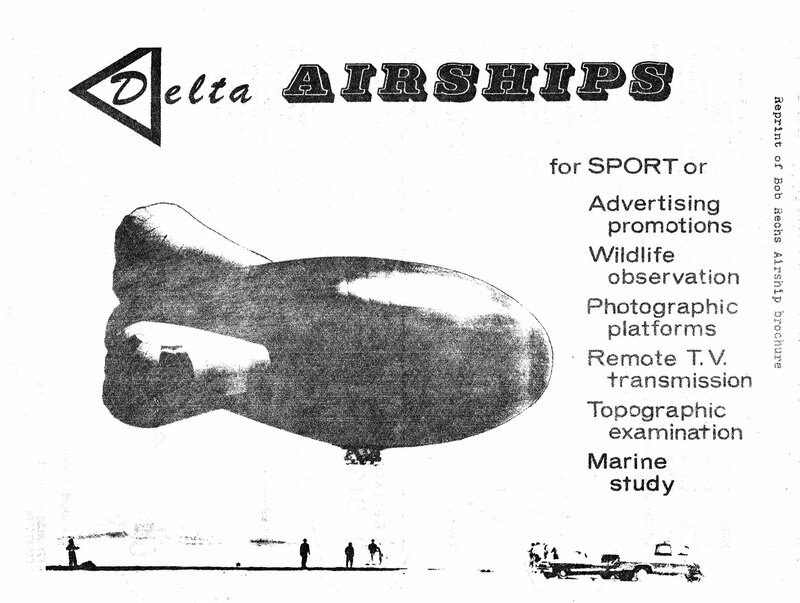 This is Bob Recks' brochure for Delta Airships for "Sport or Advertising promotions, Wildlife observation, Photographic platforms, Remote TV transmission, Topographic examination and Marine study." It states that Delta Airships are the result of sixteen years of research and five years of engineering. It goes on to describe the envelope, gondola, instruments and controls plus information on pre-flight preparations - all pretty familiar with hot air airships flying nowadays - plus take-off and flight. However the section on mooring to a mast for the purpose of securing the ship during deflation is not a practice that caught on. 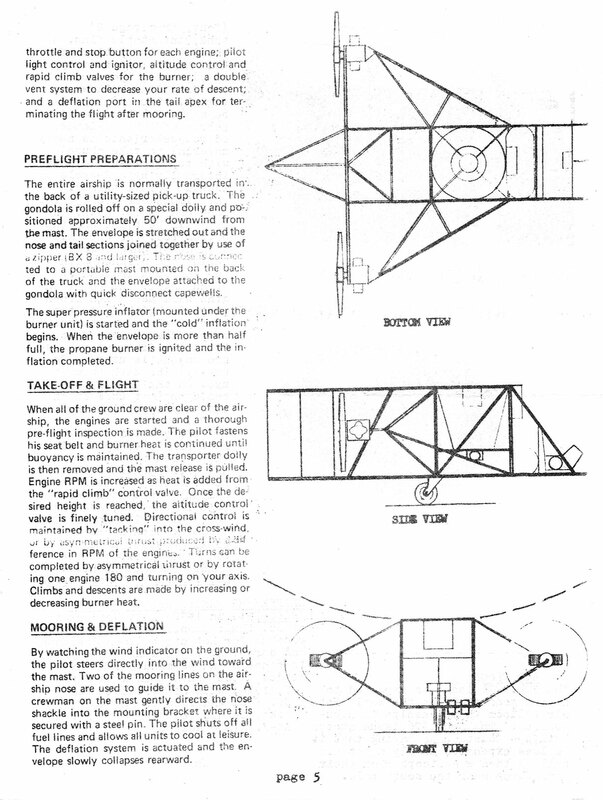 Info on the airship refers to an envelope 130 ft long and 42 ft high, with super-pressure created internally by a two-cycle McCulla 101A engine. No envelope volume is given, but it was to have a finess ratio of 3:1 with flat adjustable fins instead of the bulbous ones shown on the brochure, and a single burner. "The top will be black and the bottom red. The car will be made of chrome-moly tubing and aligned with the envelope instead of at an angle." The Brazilian Volkswagen engine powered a Ken Brock propeller with an expected speed of 10-12 knots. Intriguingly one poor and grainy image appears to show a scale version being tested. 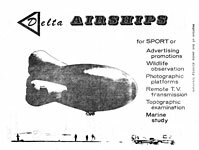 When I contacted 'Rex' - which is how Bob who is now in his seventies is generally known - about the Delta Airship project he told me, "No, my thermal airship never flew. The only one I ever built was in Brazil. The owner (Victorio Truffi) started changing the design and price at completion and I quit. It was in storage and was eventually destroyed, and part of his house, by fire from a propane leak. Yes, thermal airships have flown successfully, although due to complexity they never caught on."